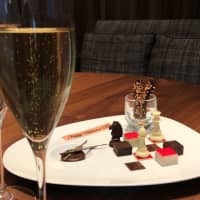 Valentine’s Day is around the corner, and the Cerulean Tower Tokyu Hotel is playing “the game of love” with its extravagant marriage of chocolate and Champagne, the Valentine’s Chocolat Chessboard 2019. 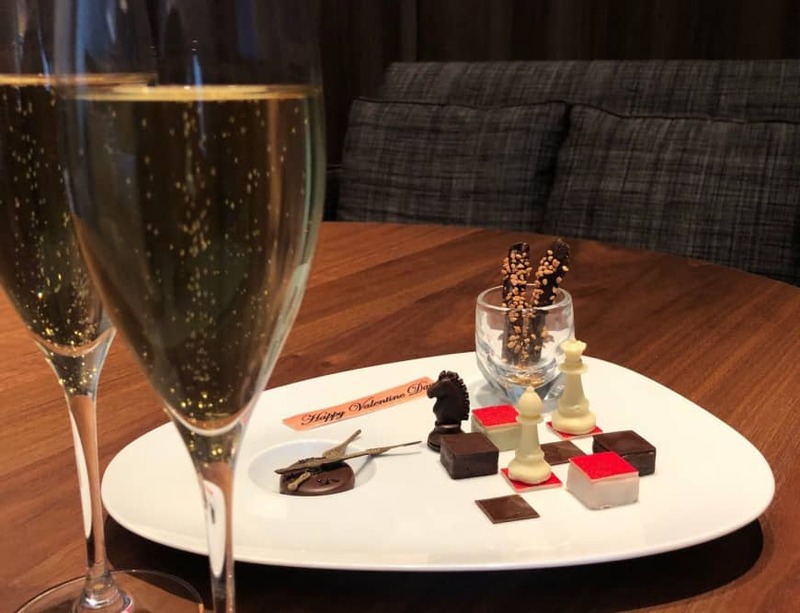 The chessboard is served at the hotel’s 40th-floor Tower’s Bar Bellovisto and can be ordered through Feb. 14 from 4 p.m. to midnight on weekdays or from 1:30 p.m. on weekends and holidays. It is available alone for ¥2,613 or as a set with two glasses of Champagne for ¥7,500. A redux of last year’s popular valentine’s chocolate set, this assortment comes complete with a knight, bishop, queen and various chessboard squares — each accented with unique flavors, including orange, berry, coffee and salted caramel. It even includes a small clock-shaped chocolate with the hands set to 2:14 as a symbolic gesture of the holiday. Those who order the Champagne set will be treated to Pommery Wintertime Blanc de Noirs, a seasonal creation noted for its crisp, dry notes and rich, fruity aroma. As the only Champagne to be available exclusively in winter, it’s sure to provide an extra dash of warmth to the romance-filled ambiance. The Cerulean Tower Tokyu Hotel is five minutes from Shibuya Station’s West Exit. For more information or reservations, visit www.ceruleantower-hotel.com or call 03-3476-3000. 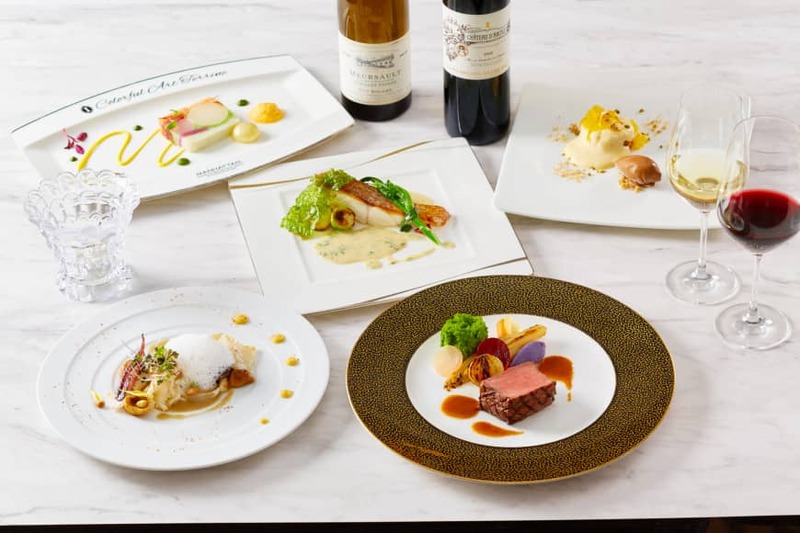 Love is in the air at The InterContinental Tokyo Bay, where two of its restaurants are serving up valentine’s dinner courses prepared with the finest ingredients to add a touch of decadence to the love-filled month. Available from 5:30 p.m. to 9 p.m. through Feb. 19, first-floor teppanyaki (flat-iron grill) restaurant Takumi is offering an extravagant valentine’s dinner plan, including a glass of rose Champagne to toast and wagyu beef served Rossini style with foie gras. For dessert, guests are invited to the neighboring New York Lounge to indulge in a deluxe dessert as they relax on the comfortably spacious sofas. The full course is ¥13,931 and provides guests with hotel-original chocolate and a mini set of Agraria amenities as souvenirs. Meanwhile, sixth-floor Rainbow Bridge View Dining & Champagne Bar Manhattan has put together a dinner plan, including artfully prepared terrine, fresh grilled fish and dry-aged American roast beef. Available from 5:30 p.m. to 9 p.m. through Feb. 28, this course costs ¥9,014 and provides drinks for a toast, a rose, hotel-original bonbon chocolate, dessert with a message plate and a commemorative photo to create a truly unforgettable evening. The InterContinental Tokyo Bay is adjacent to Takeshiba Station on the Yurikamome Line or an 8-minute walk from JR Hamamatsucho Station. For more information, access https://www.interconti-tokyo.com/en/ or call 03-5404-2222. 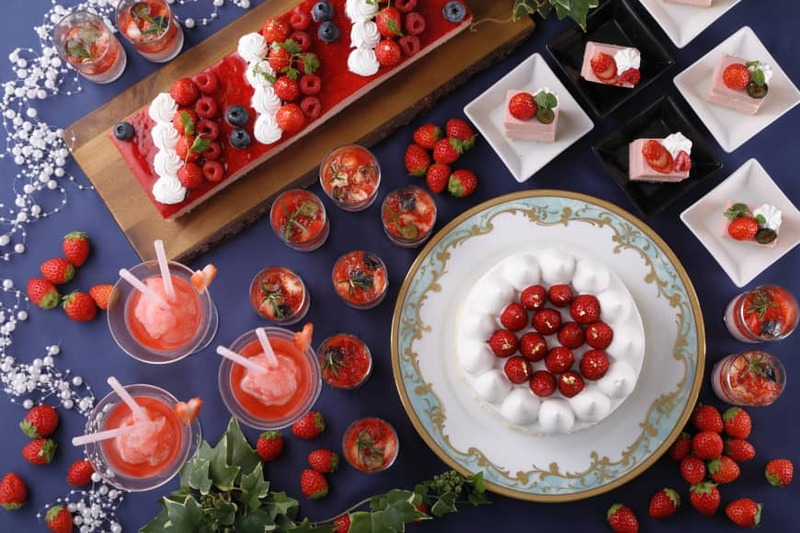 Every Thursday night from Feb. 7 to April 11, the Nagoya Tokyu Hotel will host a celebration of seasonal strawberries in the form of its Strawberry Hunt nighttime sweets buffet (¥4,200 for adults; ¥2,700 for elementary school students; and ¥1,700 for toddlers) at the atrium lounge Grindelwald on the first floor. Strawberry shortcake, strawberry and chocolate tarts, strawberry Mont Blanc and strawberry creme brulee are some of the titillating delights that will be available. Guests can watch patissiers prepare the exquisite strawberry menu items before relishing the seasonal strawberries and delicious ice cream for themselves. Weekly original strawberry cocktails concocted by Grindelwald’s staff will also be included to top off the evening. To celebrate Valentine’s Day and White Day, the atrium lounge is preparing heart-shaped macarons with vanilla ice cream for its Valentine Night on Feb. 14 and White Night on March 14. Rounding out the evenings will be light shows at the atrium lounge’s magnificent facade, making it a sweet and spectacular occasion to create memories with that special someone. The Nagoya Tokyu Hotel is 15 minutes by car from Nagoya Station or five minutes from Sakae Station. For more information or reservations, visit https://www.tokyuhotels.co.jp/nagoya-h/index.html or call 052-251-2411.